PDF files can't be edited easily and for this reason, it is the most popular file format in business field. Printing PDF files becomes a widely asked requirement as a result. This tutorial focus on introducing how to print PDF files via a .NET PDF API. With the help of Spire.PDF for .NET, developers can finish the print function in a few lines codes to print the PDF files with the default printer or any other network connected printer. You can also print all the PDF pages or only print the selected pages you want. ATTENTION THAT, if you are using the Spire.PDF Version 3.9.360 or above, please refer to tutorial here. Step 1: Create a new PDF document and load a PDF from file. 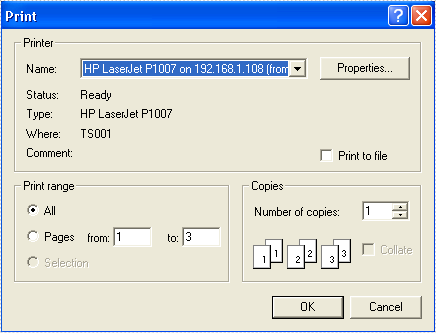 If you want to print all the pages in PDF file with the default printer, please go to Step 2. If you want to set the printer and only print some pages in the PDF file, please go to Step 3 directly. Step 3: Set the Printer and select the pages you want to print in the PDF file.